Manchester United's Champions League journey came to an end after they were dumped out of the competition by an inspired Barcelona side. After a below-par performance at the Old Trafford in the first leg, Barcelona were back to their best at the Nou Camp. They played with their traditional swagger and blew the Red Devils out of the park. Ole Gunnar Solskjaer went with an attacking line up for the game. Anthony Martial, Marcus Rashford and Jesse Lingard started up front. United started the game on the front foot as Rashford hit the crossbar inside the first two minutes. But they conceded against the run of play when Ashley Young's poor clearance fell to Lionel Messi who buried the ball past David De Gea from outside the box. 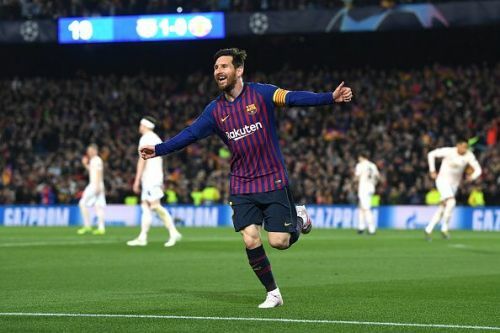 The Argentine doubled Barcelona's lead when his tame shot squeezed beneath David De Gea's body and rolled into the back of the net. Philip Coutinho scored a screamer to finish Manchester United off and book a place in the semi-finals of the Champions League. Manchester United's decision to build up through the middle didn't work out very well. The Red Devils tried to move forward up the pitch by playing short passes but Barcelona pressed them with such intensity that they were unable to string more than a couple of passes. 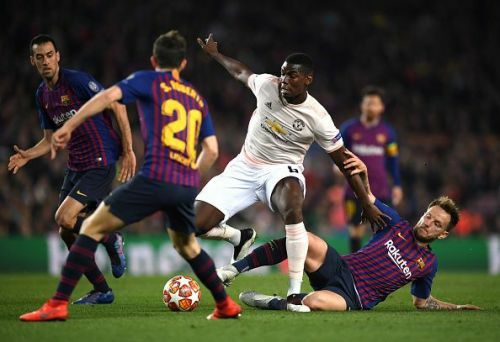 Paul Pogba was the only player who seemed to have the ability to play through the Barcelona press but he was crowded as soon as he received the ball. The intense pressing from the hosts forced the United players into mistakes. The visitors looked much more dangerous when they were throwing balls into the channels for Marcus Rashford and Anthony Martial to run onto and should have stuck to that approach.